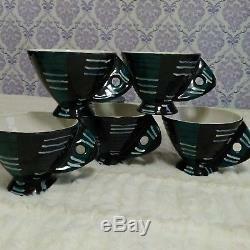 Vintage 50's 60's San Polo Ceramic Coffee set. 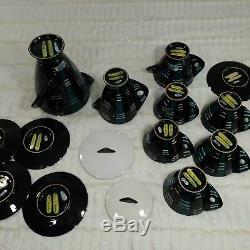 1 x 7.75 coffee pot with lid. 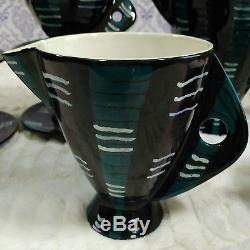 1 x 5.5 cream jug. 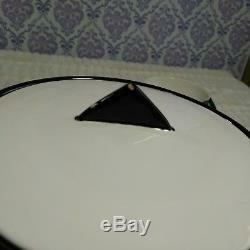 1 x 4 sugar bowl with lid. 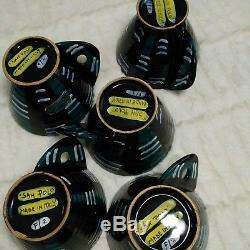 5 x 3.5 coffee cups. 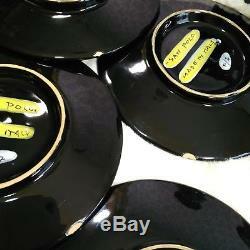 15 pieces total, including lids. 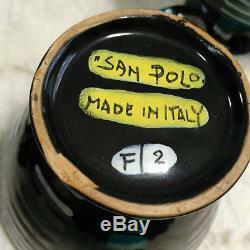 Signed and numbered "San Polo" Italy F/2. 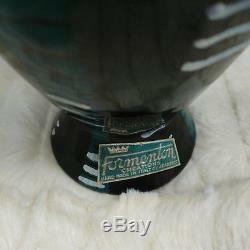 Original stickers on some of the pieces (Formenton Creations). 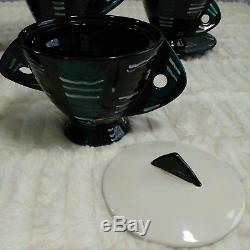 Several small chips on bottoms and 1 rim of cups and saucers, top of lid on coffee pot, inside sugar bowl (shown in photos). 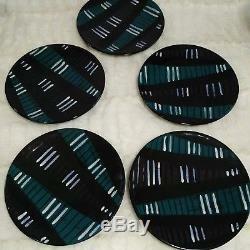 Unique mid century modern geometric design. 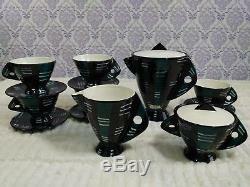 The item "San Polo Ceramics Coffee Tea Set Italy F/2 VTG MCM 15 Piece Black Teal Purple" is in sale since Saturday, January 13, 2018. 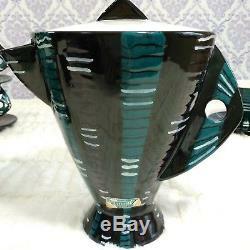 This item is in the category "Collectibles\Decorative Collectibles\Tea Pots, Sets".tin" and is located in Shefford, Quebec.